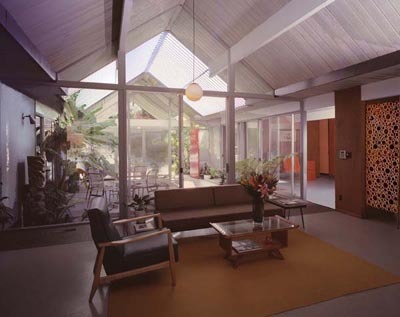 Our work has been featured in numerous articles and citation, however, these are the items that really touched us deeply. 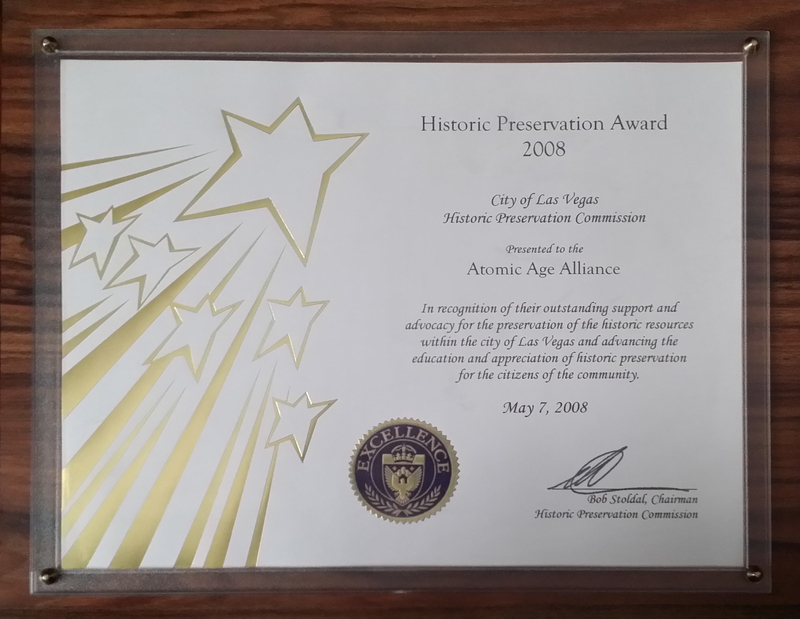 City of Las Vegas Historic Preservation Commission presented an historic preservation award to us for our overall advocacy for historic preservation in Las Vegas in 2008. 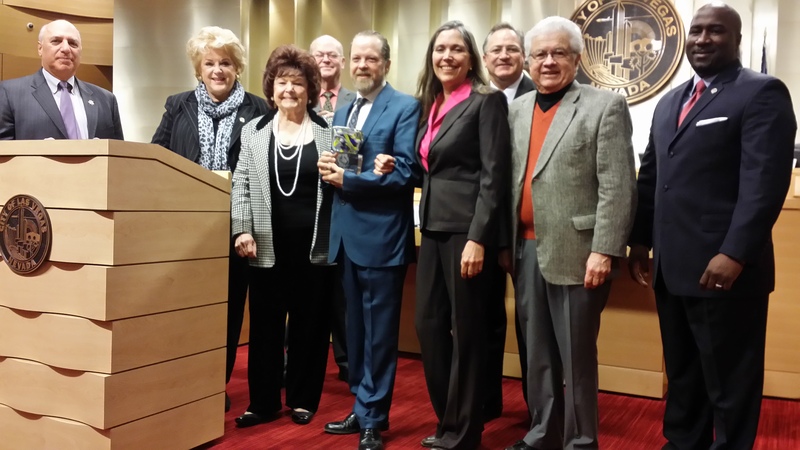 Pistachio Palms receives the Las Vegas Mayor’s Urban Design Award (the MUDA)! 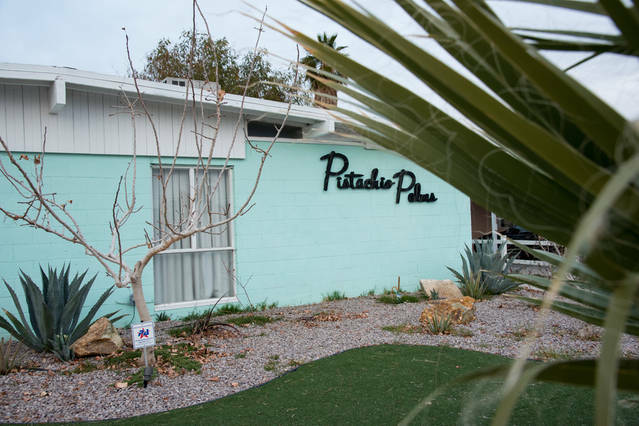 And finally – although it is not a ‘personal’ award, we do feel our personal advocacy is responsible in part for getting the ball rolling on the successful nomination of Paradise Palms as the first Mid Century Modern historic neighborhood designation in Las Vegas by helping to expose the importance of these homes early on. 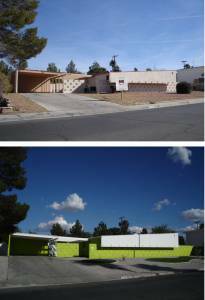 We simultaneously restored three prominent homes in the neighborhood – both north and south of Desert Inn and helped another homeowner do the same with three additional homes. 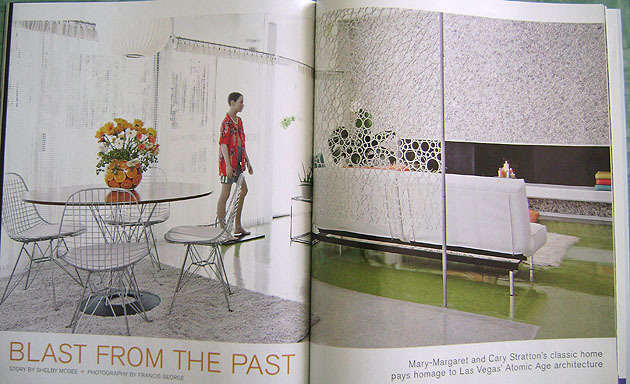 We did the first publicly-acknowledged full interior and exterior restoration of a Palmer and Krisel home in the neighborhood, and had a 12 page article written about the project in Las Vegas Home and Design Magazine. 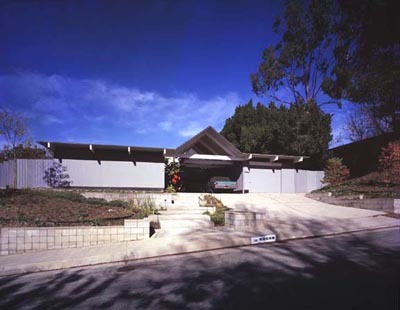 We invited Ask this Old House to do a segment on one of our PP homes. 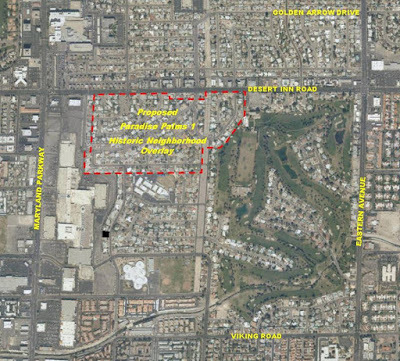 We conducted several tours that highlighted the importance of the neighborhood, including the pivotal Mondo Vegas tour guide. We invited photographers from all over the country to shoot for the annual BHOF photo safari. 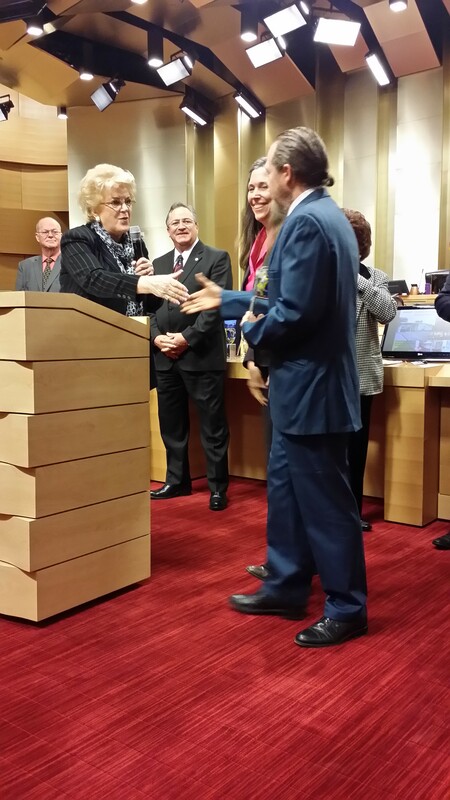 We also discussed with County Commissioner, Chris Giunchigliani, about the importance of neighborhood designation as far back as 2007. 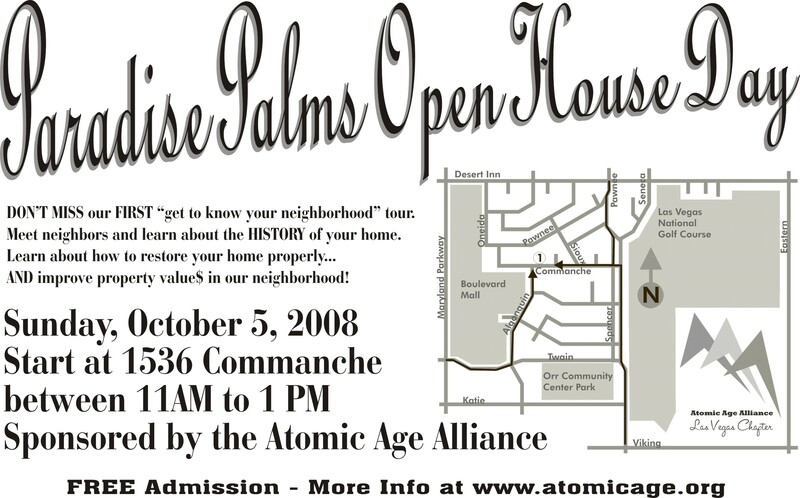 And lastly we conducted the first official tour of Paradise Palms in 2008.